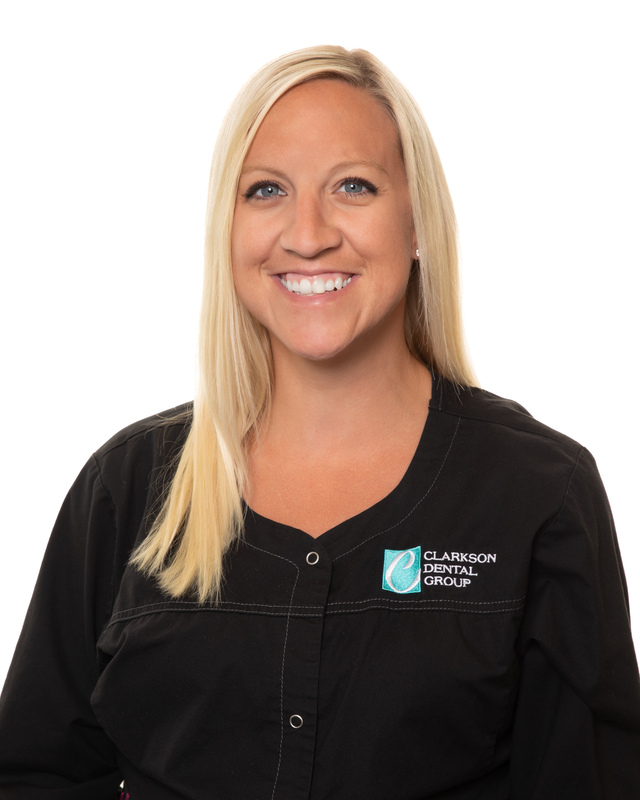 At Clarkson Dental Group, we boasts an extensive background in the dental industry, but it is our combined attitude and approach that is remarkable. We have created a dental office where we treat people the way we would like to be treated. We are experienced, knowledgeable, friendly and helpful. We will make every effort to ensure your dental care is as comfortable as possible in every aspect. Our team utilizes state-of-the-art sterilization procedures while creating an atmosphere that is anything but sterile. 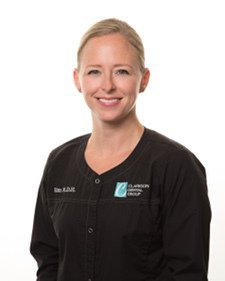 Kim- Hi, my name is Kim and I have been in the Clarkson Dental Group family for over 10 years as a Dental Hygienist. I have been married for 9 years and have 2 young boys. I have been so lucky to have made so many wonderful relationships with our patients and I am always looking forward to meeting new patients. 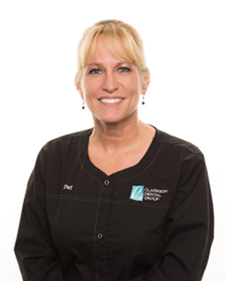 Nikki- Building strong relationships with our patients and helping them attain the smile they want are the parts of my job that I love the most. 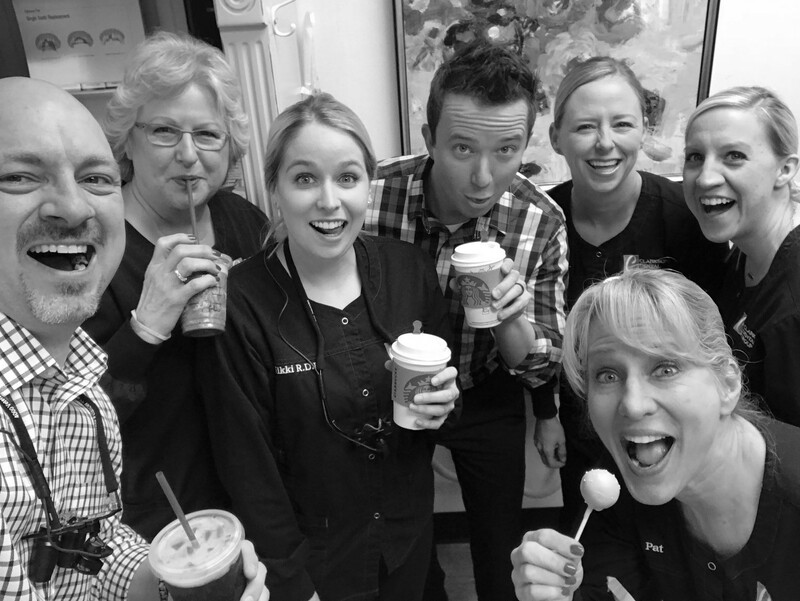 I have been a dental hygienist for 5 years and am grateful to work with such an amazing team! In my free time, I enjoy reading, running, yoga, and quality time with my family. 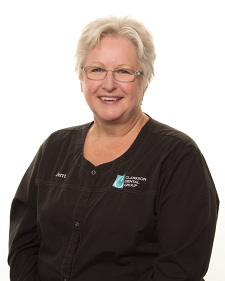 Jerri- I have worked in the dental field for thirty plus years, both chairside and front desk. My husband of 42 years and I have three children and we always look forward to spending time with them and our six grandchildren. I enjoy being outdoors gardening or swimming. Pat- This is a great team, and I am fortunate to be a part of it. I have been a Dental Assistant since 1994. I have been working with Clarkson Dental Group since 2007. I absolutely love my job and the people that I get the opportunity to work with. 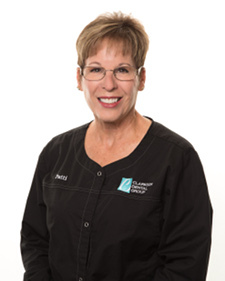 Patti- I have been working in dentistry since 1983. I started out as a Dental Assistant and later moved to the business side. I have a daughter and son who are now married and each have given me the greatest gift of a grandchild. I love my grandsons and they have taken over my life with lots of hugs and kisses. I do enjoy working with Dr. Mahlin and the team. Even though I am of retirement age I still work two days a week because I love this work family too much! 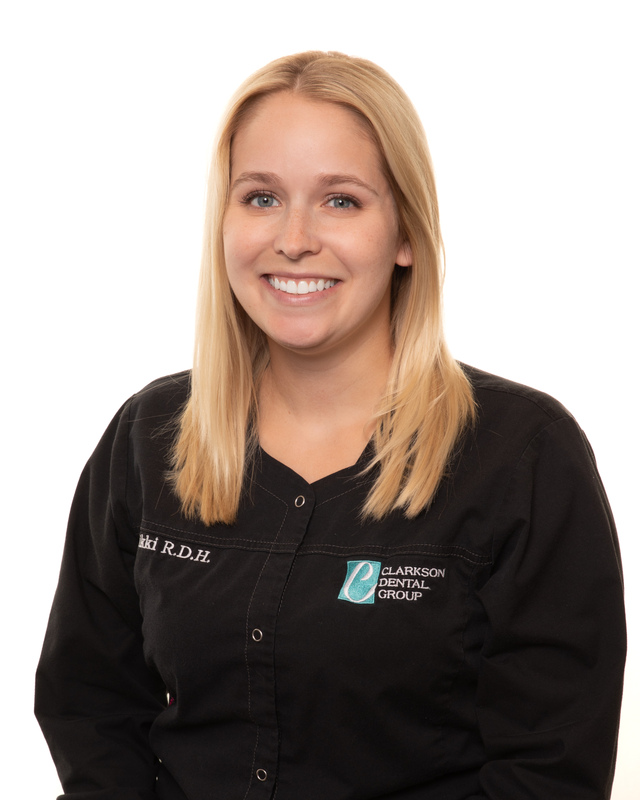 Lauren- I enjoy meeting our patients and am pleased to help them with their dental needs. I have been working in the dental field for 7 years and am lucky to have become part of such a great team at Clarkson Dental Group. I love spending my free time with my husband and daughter. Caleb- Clarkson Dental Group is truly a fun and exciting place to work. I enjoy getting to be a part of an amazing team that truly makes a difference in people’s lives. The relationships we build with our patients are incredible and we truly do treat everyone as if they were a family member. I have been blessed with an amazing wife and two crazy kids. In our free time we enjoy playing a variety of outdoor sports and visiting all of St. Louis's area attractions. Dr. Scott C. Mahlin- Owner of Clarkson Dental Group. He grew up down the street from his Chesterfield office where he attended Lafayette High School. 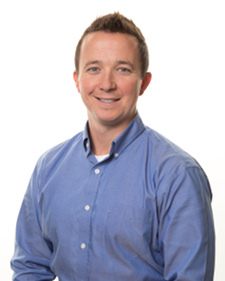 After graduation, Dr. Mahlin completed his Bachelor of Arts in Biology from St. Louis University and went on to complete his Doctor of Dental Surgery (DDS) degree from the University of Missouri Kansas City in 2004. To further enhance his skills in the areas he excels and is most passionate about, he completed a post-graduate IV Sedation Residency at the University of Alabama, attained Fellowships with the International Congress of Oral Implantology, Misch International Implant Institute Surgical and Prosthetic Implant Program, and the Academy of General Dentistry. We have found a place where each of us can give our very best to each and every patient. We are committed to supporting Dr. Mahlin in helping to provide the best dental care in St. Louis. Let us show you how great dental care plus great staff support can add up to the best dental experience you have ever had! Dr. Mahlin, Jerri, Nikki, Caleb, Kim, Pat and Lauren. 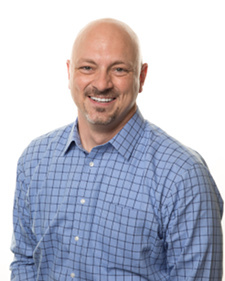 Scott Mahlin, DDS, PC and his staff at Clarkson Dental Group offer exceptional general dentistry, cosmetic dentistry and implant restorative dentistry. We offer dental services including cosmetic crowns, cosmetic restorations, porcelain crowns, porcelain bridges, porcelain veneers, dental implant crowns, and dental implant bridges for people from all over the St. Louis area. 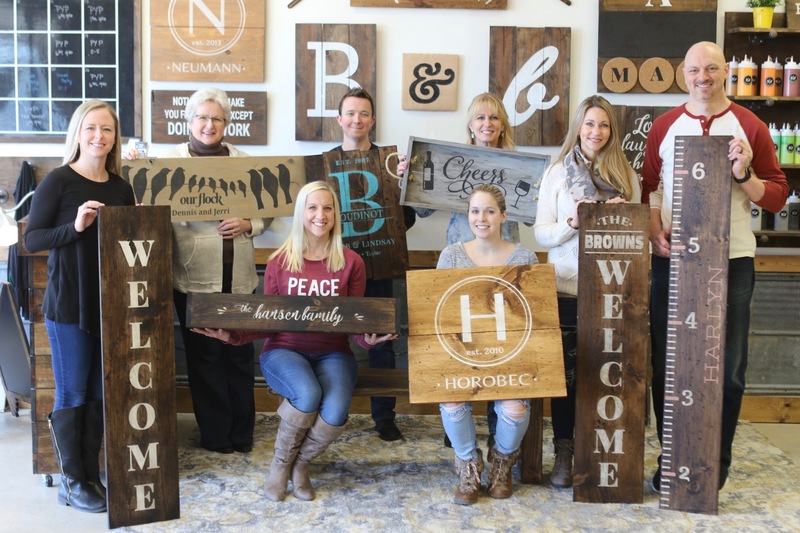 The communities we proudly serve including: St. Louis, Chesterfield, Wildwood, Ballwin, Ellisville, Town & Country, Creve Coeur, Des Peres, Bridgeton, St. Charles, St. Peters, O'Fallon, Lake St. Louis, and Wentzville, Missouri. Our office is conveniently located in Chesterfield, MO, in West St. Louis County.